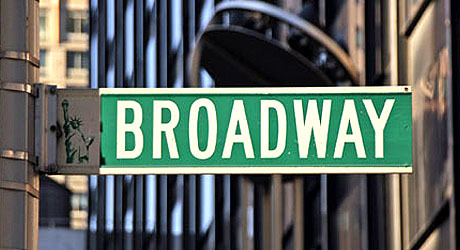 Broadway, New York of course refers to the American heart of theatre in the city that never sleeps. 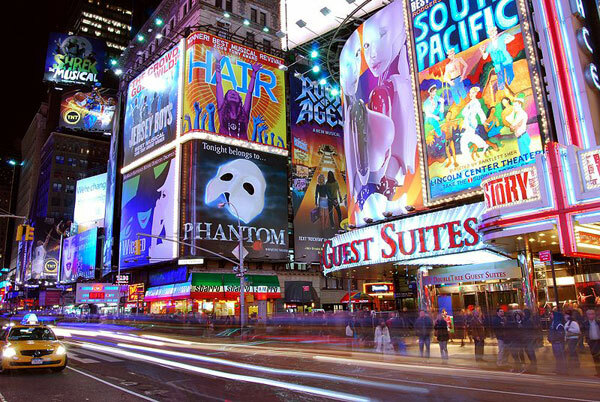 Also known as the Theater District or the Great White Way, the many Broadway theatres host an ever-rotating offer of commercial, large scale plays (mainly musicals) purely for out entertainment. Broadway extends from Bowling Green in the South of Manhattan Island to Inwood located at the Northern tip, however there is a famous stretch near Times Square, where Broadway crosses with 7th Avenue in central Manhattan. Thus, what was the red light district in the 1960s and 1970s, is now a cultural hub and home to an array of on-Broadway and off-Broadway shows. Off-Broadway refers to more avant-garde or experimental theatrical productions, whilst on-Broadway makes reference to your more common, mainstream Broadway shows. Either way, currently on offer in the United States theatre hub are the following on-Broadway theatre productions; The Lion King, Wicked, Spider-Man, Turn Off the Dark, Chicago, Mary Poppins, Sister Act and Ghost, amongst others. On offer in off-Broadway is Million Dollar Quartet, Rent, Fuerza Bruta, Gazillion Bubble Show, Stomp and Voca People, etc. In addition to the great acting and entertaining music, some of your favourite film stars also appear in some of the shows. Cristina Ricci, Angela Lansbury, John Lithigow, Nick Jonas and Ricky Martin, amongst others, currently feature. 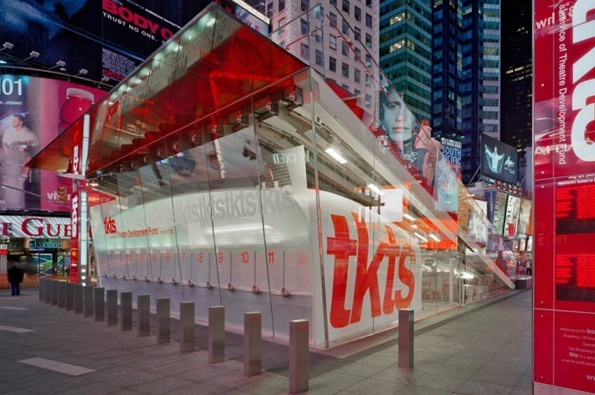 Finally, situated on Times Square, and further locations across New York, is a TKTS Discount Booth. At these booths, theatre-goers can enjoy up to 50% off on on-Broadway and off-Broadway musicals and plays. An abundance of tickets are on sale everyday meaning that if you’re on a budget you don’t have to miss out on a show! So, now you know. If you’re planning a little holiday in New York then make sure you include a nice play on Broadway to really FeelNYC.